We can offer you driving lessons and intensive driving courses throughout Belfast and surrounding areas between the hours of 0800 and 2100. Our courses are as individual as our customers. We have tried to keep our prices as low as possible whilst still ensuring the highest quality of instruction and professionalism. 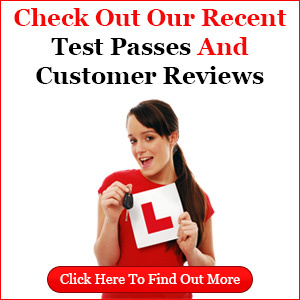 In addition to our low prices we also offer you ‘Free Theory Test Training’. Who else can offer this? We believe that we have developed a perfect learning system for all learner drivers of all abilities. Please note: Special offers do not apply if you have booked a driving test or have failed a test previously or if you have a licence from another country.